THIS PERTAINS TO THE SGV ONLY: Last season’s senior class was the best I have ever seen in the SGV in my 10 years on the job and another 10 or so following semi-close. So it’s only fitting that the following year things are going to be down. And man, according to the buzz I’m hearing (and not hearing), things are REALLY DOWN in a lot of key places. Personally, I don’t really care if it’s true because these seasons are also fun to cover in their own way. Outside of Northview, Arroyo and Los Altos, the things I’m hearing are not good. Amat is supposedly wayyyyyyyyy down in terms of skill guys. How could the Lancers not be (down) compared to last year? Charter Oak, I hear is decent, but not great. And so on … Maybe I’m wrong. I hope I’m wrong. We’ll see. Diamond Ranch High School has hired former Upland defensive coordinator Eric Martinez to be its new varsity football head coach. Martinez replaces Jimmy Welker, who was let go by the school after one season despite a 7-4 record and trip to the playoffs. Diamond Ranch has had four different coaches in the past four years. Martinez has one year of head coach experience and it came in 2003 at El Monte. He is a 1988 graduate of Arroyo High where he was a linebacker on the Knights’ 1986 CIF championship team. Since 2008, Martinez was part of Salter’s successful staff at Upland where he was defensive coordinator. He also has coaching experience at Colony. Despite the revolving door of coaches, Diamond Ranch has maintained a successful program. The Panthers have posted a winning season every year since 2011. “The Big Lou Invite” is this Saturday … yes, I gave it that name. It’s not official. If you thought you had seen the last of the area’s top senior-class football talent, think again. 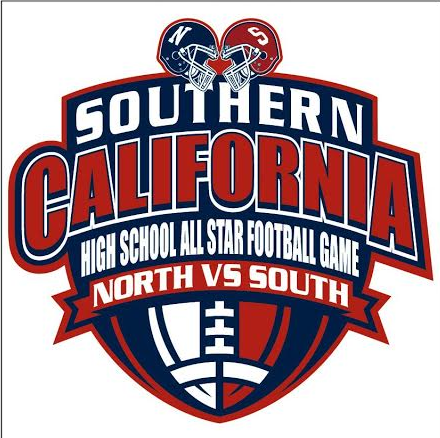 There’s still one game left to be played and that’s the brand new Southern California North/South All-Star Game on Friday night at Citrus College. Introductions are at 7 p.m. and kickoff is 7:30 p.m. The rosters are made up of primarily players from San Gabriel Valley schools, although both teams feature players from a bit out of the area in a format that divides the player pool by using the 10 Freeway. The North team will be coached by San Dimas’ Mark Holman, while the South is coached by Montebello’s Pete Gonzalez. Ward reports that both teams have had excellent player turnout and should have full rosters on Friday night. The North is led by the quarterback tandem of Bonita’s Tanner East and Pomona’s Darreon Lockett. The South is led by a mammoth offensive line with several 300-pounders.